So Blogger has been down for the last 36 hours and they took with them my last 3 posts--f*ckers-- which makes me very unhappy however, looking into the dark eyes of this hot Rican makes me instantly feel better. I have a wedding tomorrow and I leave at 6am Tuesday morning back to the States so this will be my last post until Wednesday of next week. 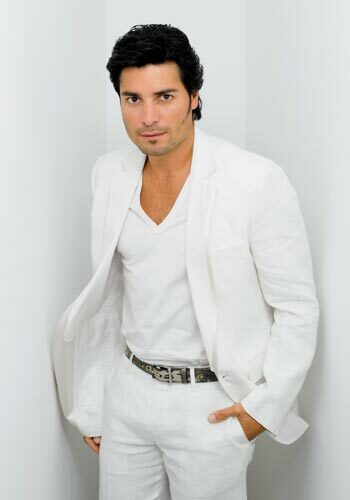 With that being said I had to bring you the hotness that is Chayanne. I fell in love with this San Piedros, PR native when he did the movie Dance With Me with Vanessa WIlliams which was filmed in my hometown of Houston, TX. Let's just say dude lit up the screen. Like seriously set it ablaze. And it should be a crime for any man to be able to move his hips the way he does and boy is he intense! whooo..
And since I have been in an Afro-Latin musical mood, I think it is appropriate to spotlight this musical and acting talent. I cannot wait to get home so I can enjoy Thursday Salsa night. So have at it. 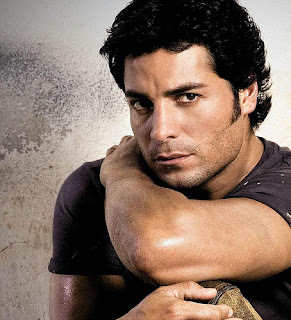 Enjoy the latin sexiness that is Chayanne. 12 comments on "Hottie of the Week--Chayanne"